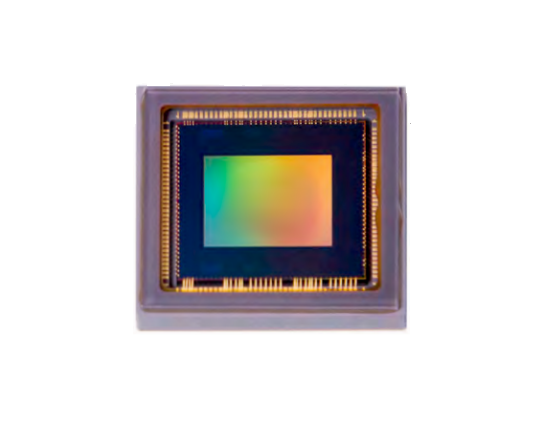 The 3U5MGXS is a 5 Megapixel Global Shutter CMOS Sensor equipped with a global shutter that exposes all of the sensors’ pixels at the same time. This global shutter image sensor employs a new pixel design introducing new drive readout and light guiding technologies significantly reducing noise, and contributing to a wide dynamic range with a power consumption of 500 mW. The 3U5MGXS solid-state imaging sensor has dimensions of 2/3 inches, has a square pixel arrangement, and 5.33 million effective pixels (2592 x 2056). The sensor's global electronic shutter function controls the charge accumulation time and an all pixel progressive reading of 120 fps. For additional features and specifications, download the brochure.